Romantic, gorgeous and exotic. 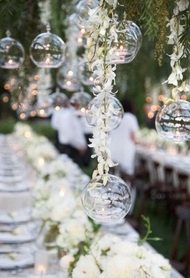 Stunning white flowers and crystal beads cascading from the ceiling. Elegant blooms gently swaying with the slightest stir of a breeze, creating a blissful vision, a joyful image! 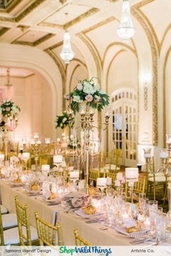 Flowers are a must for special occasions and a vital element for weddings and events. 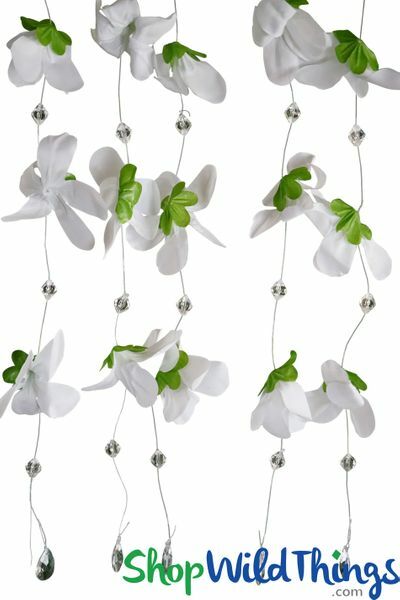 Surround yourself and your guests with our "Kamala" Hanging Flower Garland with Beads and your dreams of beautiful event decor will become a reality. This stylish white Floral Silk Garland is clean and fresh, perfect for weddings, events, garden parties, window bling or for adding some upbeat charm throughout your home. 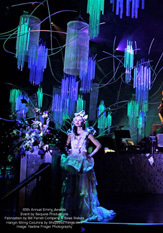 Kamala has 3 silk flowers with green leaves, interspersed with crystal clear beads, all strung on monofilament line. You will receive 12 Kamala garlands which are a handmade item. 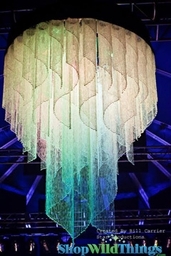 Each garland is 22" long which includes a 3 1/2" long hanging loop and a crystal clear pendant drop on the end. 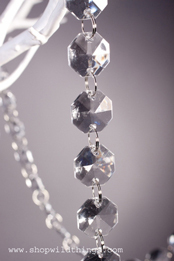 The beads are faceted which adds sparkle and a decorative touch to this eye-catching garland. 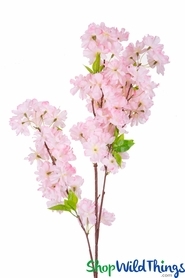 The flowers are 4" wide and the petals are slightly curved, giving dimension to this beauty. For an outdoor ceremony, create an intimate togetherness by seating your guests under a magical hanging garden that's luxurious and relaxing. 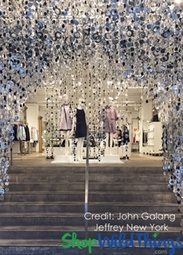 You don't actually need an overhead structure - any horizontal line, wire, twine or rope will work just fine to hang these garlands. 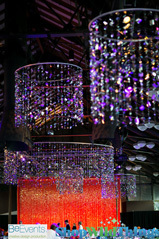 Add to the romantic ambience by adding hanging glass candle holders or hanging crystal garlands. Beautify a balcony or outdoor tents, enhance a pavilion, trellis, pergola or gazebo, adorn centerpiece trees and wedding arches. 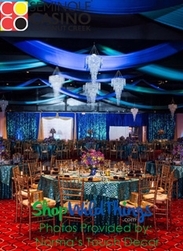 Create a classy background for the head table which can double as a photo backdrop. 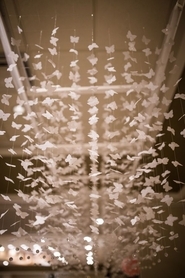 You could also use to embellish the front of buffet tables or use to decorate a cake! To unbundle the garlands: All 12 garlands are rubber banded together at the top and at the bottom of the strands. Please hang all garlands by the top loops and carefully cut the rubber bands. Gently shake the garlands to untangle them.